Ane Nauta was born in Baarderadeel (Fr) on October the 21st 1882 as the son of W.Th. Nauta, an architect-contractor and a member of the dissident faction of the reformed church that would eventually become the Gereformeerde Kerk. Ane probably learned the architect's skills from his father. In 1905 he was an overseer at the construction of Tj. 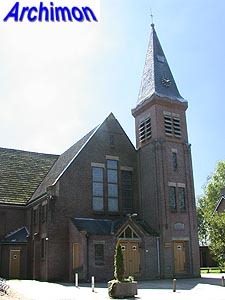 Kuipers' Zonnebrinkkerk in Winterswijk (G). 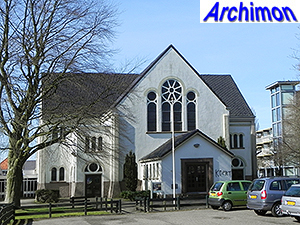 Until 1920 he was municipal architect of Westdongeradeel and had an office in Holwerd. Later he moved to Leeuwarden. 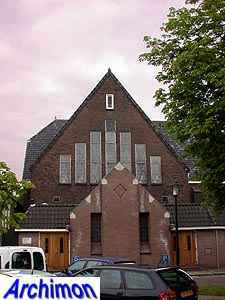 He designed many churches for the Gereformeerden, especially in his home province Friesland, working at first in a Rationalist style similar to Kuipers', later in a moderate Expressionist style. 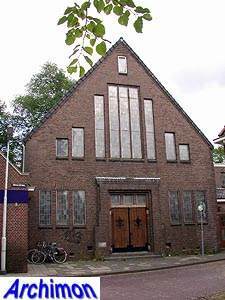 In 1921 he constructed the Kruiskerk in Heerenveen, one of the first two churches in the Netherlands built of reinforced concrete. He died in Leeuwarden on April the 9th of 1946. The following is a list of Nauta's churches only. It is probably incomplete. Nauta's first church. One-aisled cruciform church in Rationalist style, with tower. Cruciform church in Rationalist style, with integrated consistory at the back and both a tall and a short tower at the front. One-aisled cruciform church in Rationalist style, with tower. Straigth one-aisled church in Rationalist style with Eclectic details. Short frontal turret. T-shaped church without tower, built out of concrete. Simple straight one-aisled church with Rationalist details. Church in Rationalist style with tower. T-shaped ground-plan. T-shaped church in Rationalist style. Tower with parabola-shaped roof. Demolished in 2000. 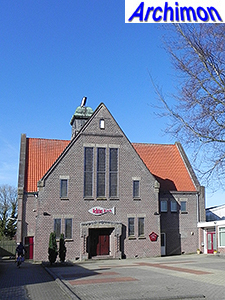 One-aisled church with Rationalist details and three-sided front and back. Originally with roof-turret. Cruciform church with tower. Expressionist details. Towerless church in moderate Expressionist style. L-shaped ground-plan. Demolished in 2004. Towerless cruciform church in moderate Expressionist style, with polygonal arms. 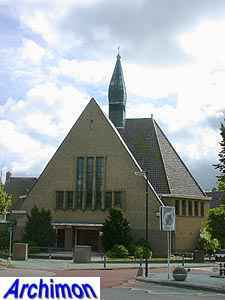 T-shaped church in moderate Expressionist style, with roof-turret. Towerless church in moderate Expressionist style. Modified in 1926. Cruciform church in moderate Expressionist style, with small turret on the crossing. Cruciform church in moderate Expressionist style, with saddle-roof tower. 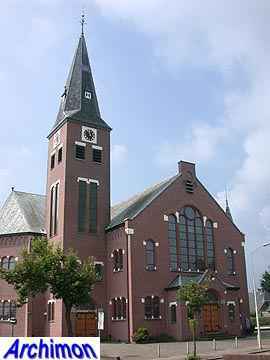 Cruciform church in moderate Expressionist style, with saddle-roof tower. Designed in conjunction with J.H. van der Veen.